Over the past few months I've been focusing on a style of blues called Texas Shuffle, with Pride And Joy as the focus. 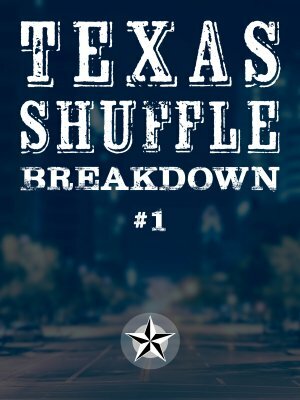 During that time I produced a series of courses and free lessons all based on that Texas Shuffle theme. Some of you have been away for the summer, and are just getting back to your guitar playing. So if you missed out on what we've been doing at TXBA, here's a tidy recap of everything you missed. Each themed course cycle starts with a rhythm course, so that's how we kicked things off. 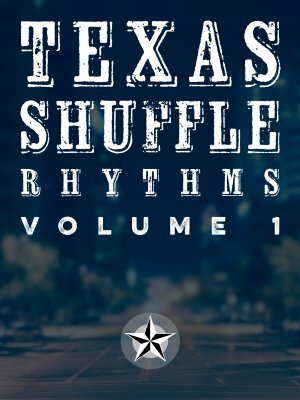 This course teaches 5 rhythms based on the Pride And Joy style of rhythm, starting with a very simple rhythm and building in complexity. 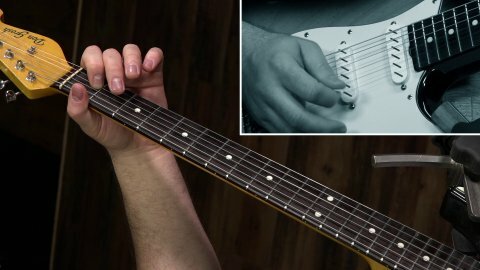 If you've always wanted to master that sound but have had trouble nailing it, this is the course for you. The next two courses in this cycle are both based on the same performance. I recorded a 12-chorus long performance in the style of Pride And Joy. 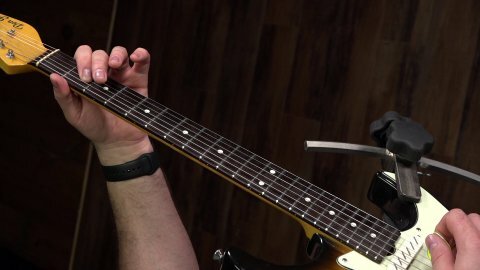 It includes some of the rhythm concepts taught in the first course, and plenty of soloing. The next step in a course cycle is to create a Quick Fix course from the performance. 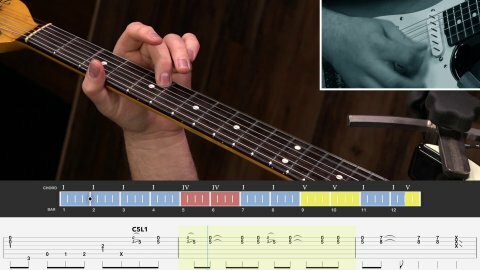 A Quick Fix course is where I chop the performance up into individual licks, slow them down, add tablature, and create videos that people can study by looping over each lick individually. This is primarily for players who prefer to learn by watching closely, without listening to me teach each individual note. So the next course in this cycle was exactly that - a neatly chopped up presentation of the entire performance, perfect for looping and watching. The last part of each cycle is a full Breakdown course where I teach the entire performance note-for-note. This is the course most people want, but since it takes longer than the Quick Fix, it's more expensive. 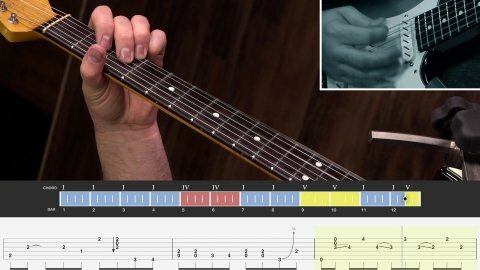 But, you get all the note-for-note teaching that's left out of the Quick Fix course, so it's a much better option for players who really need the individual notes called out. In this final course, the entire 12-chorus long performance is taught note-for-note. 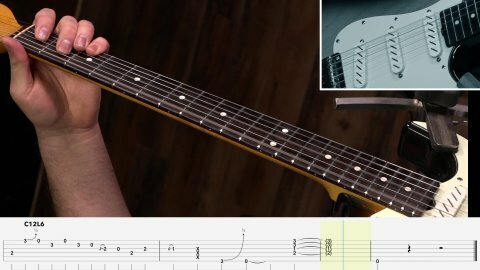 There's full tablature, and a backing track provided. 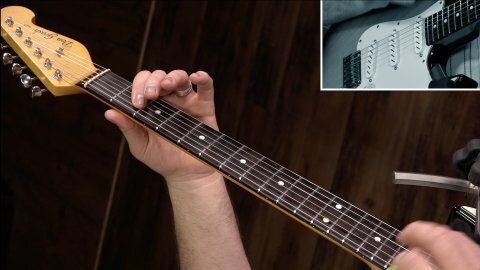 If you're itching to get some of that Pride And Joy feel in your playing, this is the best course I can offer you. Of course there were some free lessons during this cycle too. Here's a list of those with links to the individual lesson pages. Whew.... I think we've done about as much of this style of blues as I can handle for now, and I can (emphatically) check "Pride And Joy" off my list of topics to teach on.